Gingerbread House and Gingerbread Macarons | Merry Christmas Everyone! Merry Christmas everyone! While a festive wine is being mulled for the next post with Prague captured during Christmas, this one captures our experience with the gingerbread houses and the gingerbread Macarons that filled up our dining table – for a while! One Materclass down and basking in the glory of having decorated two gingerbread houses – one in my Masterclass with Chef Alannah Doe of Address Marina and the other in a gingerbread house decoration competition where the Z-Sisters had been my mighty assistants, I am still fumbling. I am an accidental, experimental cook – a creative person of the abstract genre. I am filled with envy when I see beautiful well crafted gingerbread houses with perfect thin icings and coloured candies sticking delicately to the roofs and walls. Mine is all about asymmetry. There’s snow falling all over the ceiling just to cover up the dodgy joints of the roofs and walls of our gingerbread house (above). At the end of it all, it doesn’t matter. When the Z-Sisters saw the one that I made in my Masterclass, they hugged me and shouted out loud – ‘You are the best, best and the best’, ‘This is so awesome’, ‘Yours is the best, Mummy!’ and the last shriek which jerked me slightly but had a happy ending to it – ‘Your Macarons are monstrous but are so fabulous’! Mummy’s ego restored and dignity intact, I walked out with my head held high, inflated too with praises from my mini cheer leading team echoing all around. Considering the fact that Li’l Z had been eating most of the candies and jelly beans that were supposed to have gone onto the decoration of our gingerbread house, we managed to do pretty well. Our roof is intact, so are the walls and there are also a few candies sticking to the wall. Yes, the snow fell a bit more heavily on our house (further below) than other houses but that may have to do with Mummy trying to cover up her inability to draw stable icing lines rather than meteorological forecasts. • Melt the honey and sugar together until all the sugar has dissolved. • Mix all the flour, gingerbread spice, bicarbonate of soda in a bowl and add the honey mixture. • Once it has cooled slightly, add the eggs and finally the milk and oil. • Knead until a smooth dough is formed, then allow to rest for 2 hours. • Roll out to the thickness you would like and brush with milk before baking. • Depending on your desired texture, bake at 160 C for 12 minutes. Macaron or Macaroon? Well that has been a confusion for me ever since I chomped into a Macaron, or was it a Macaroon? While Macaroon is toasted desiccated coconut combined with egg whites and sugar to form a frothy meringue then baked to a nice golden colour. They are crunchy on the outside, soft and chewy on the inside. The Macaron is on the other hand made from ‘TPT’ which stands for Tant pour Tant in French. Translated, this simply means equal quantities in reference to the icing sugar and ground almonds used as the base of a Macaron. This is then mixed with a meringue of one’s choice – French, Swiss or Italian, piped and baked. It forms a nice shiny shell with a small rise and a little foot at the bottom. Traditionally, the two are then sandwiched together to form a Macaron! From my experience, the making of Macaron is no less than rocket science. Well definitely not for passionate bakers but definitely for me for whom sticking to proportions and following instructions accurately, is a chore. Plus, the rocket science part of it which involves the understanding of the molecules that would ultimately result in that perfect Macaron. If you don’t believe me, please check out my 15 seconds video on Instagram of Chef Alannah explaining the logistics of the molecules in the culinary backstreets of the hotel. • Boil 160g water and 600g in a saucepan until it reaches 121 C, let it cool. • In a blender, whisk slowly 220g of egg white, add sugar and increase whisking speed until meringue has cooled down. Once cold add your desired shell colour. • Mix sugar and ground almonds with the egg white to make a paste. • Once the meringue is cold, fold in 1/3 roughly and then carefully fold the remaining 2/3. • Take a tray and a non-stick mat or greaseproof paper, ensure both are dry. • Pipe small circles onto the mat and leave to rest for 5 minutes then bake at 160 C for 14 minutes. • Whisk egg whites on slow speed. • Bring the sugar and water to boil and allow to cook until it reaches 121 C.
So while my Macarons took the shape of make-1-get-another-1-free-attached-with-the-first-one, or even 5 pieces together (above), as Big Z said they were ‘monstrous but fabulous’. I also managed to make a trendy one with the letter ‘I’, for IshitaUnblogged, naturally! Megalomaniac? No way but I definitely needed something to bruise my ego after seeing the devastation of my precious gingerbread house (below), in 2 minutes flat. A reader tweeted ‘Seems like your gingerbread house has been hit by a typhoon!’. Oh yes, typhoon indeed, generated by two pairs of monstrous little hands. Before signing off, just a small note – I’d love it if you hopped onto my last post to read my foodie diary in the historical city of Prague… street food to fine dining and a Christmas winter wonderland thrown in between, as it appeared in BBC GoodFood Me magazine. And wishing you all a Merrrrrrrrrrrrrrry Christmas once again! Disclaimer: The Masterclass at The Address Marina cost me Dhs 350 including all the materials and I got to keep the gingerbread house. For the Generation Creation brunch however, we were guests at Mazina. Please note that this post is not a sponsored post and the subject, story, opinions and views stated here are my own and are independent. While you enjoy reading the posts with lot of visuals, please do not use any material from this post. You can see more pictures of my travel and food journey here. what a beautiful house that is. thoroughly loved reading tthe post. Have a great Christmas and new year Ishita. Great houses. 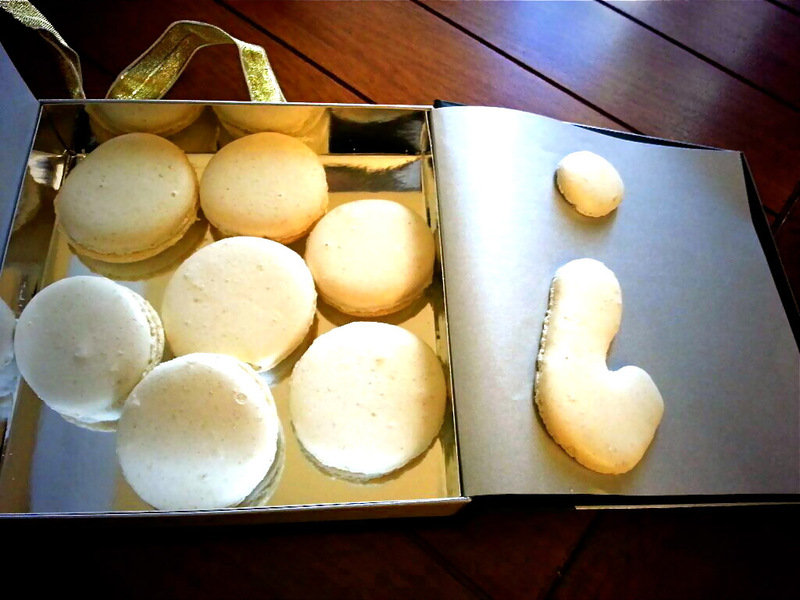 I did an extensive post in 2012 on macarons and spelled it the wrong way in my title. And this is after living in Paris for 3 years and going to french cooking school! My friend emailed me and was like ‘yoohoo’ ummmm… you might want to check the spelling. Red cheeked, I did immediately! Nice explanations on the macarons(see autocorrect is trying to put another o in as I write!) and differences in meringue.